Pregnant women from Samoa with valid entry permits into American Samoa, who travel over on MV Lady Naomi, are not allowed to disembark. Instead they are “simply asked to take a return trip of the ship” to Samoa. The treatment surfaced during the recent inter-Samoa talks held in Apia where the Samoan government raised concerns about the treatment of Samoan residents by American Samoa. Official documents obtained by the Samoa Observer does not say how many women were subjected to the treatment. But Samoan officials were disturbed and they raised the issue about the violation of human rights. “Samoa also raised the concern relating to pregnant women from Samoa not being able to disembark the vessel upon arrival but simply asked to take the return trip of the ship even with the issuance of a valid entry permit,” the document says. 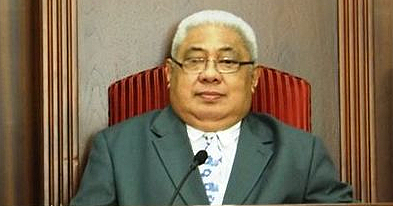 Questions sent to American Samoa Attorney General, Talauega Eleasalo Ale, remain unanswered as of press time yesterday. Another concern for Samoa was with regards to the time it takes for American Samoa officials to clear the M.V. 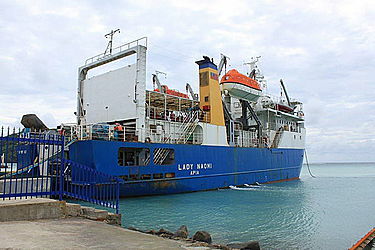 Lady Naomi when it arrives in Pago. According to the document, Samoa requested American Samoa to consider clearing the vessel at time of arrival. “American Samoa responded that their opening hours are from sun-up to dusk, but do provide services after-hours, with applied fees,” the document reads. Another issue discussed was the utilization of Samoa Airways by the American Samoa Government for their patients off island referral programme. “Overseas transfer of American Samoa patients - the authorities explored the possibility of using Samoa Airways to transport patients from Pago Pago to New Zealand which requires consultations with the airline. 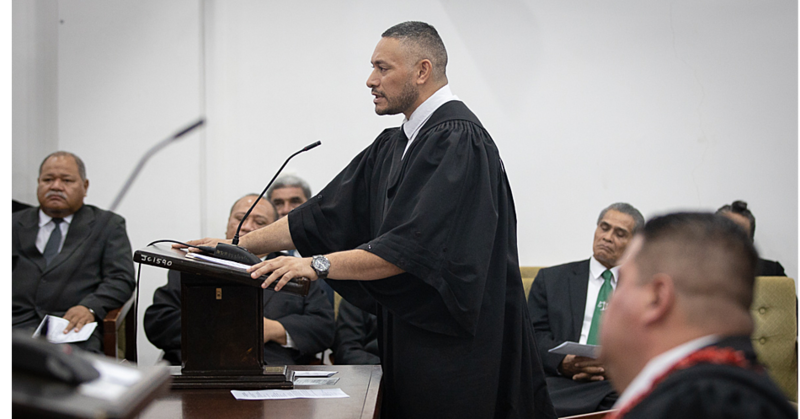 “On the option of transmitting in Samoa, there would need to be an assessment of the fees and costs that would be involved. “This option would include the use of Faleolo hospital at cost for patients in transit,” says the document. Other pertinent issues that were discussed were the lifting of the ban on taro from Samoa. According to official meeting record of the talks, “Samoa has acknowledged efforts to comply with requirements set forth by the American Samoa Government to lift its taro ban imports from Samoa; the Department of Agriculture currently awaits written communication from M.A.F. on the result of its taro virus tests. The concerns by Samoa relating to American Samoa’s inspection fees have been resolved. “American Samoa conﬁrmed that they only charge excise fees as set forth by statute, and duties are only levied against commercial goods, not legitimate personal goods,” says the official meeting record. Regarding quarantine, it’s encouraged by recent developments ensuring quality assurance through the provision of mobile slaughter units and the adoption of new legislation. 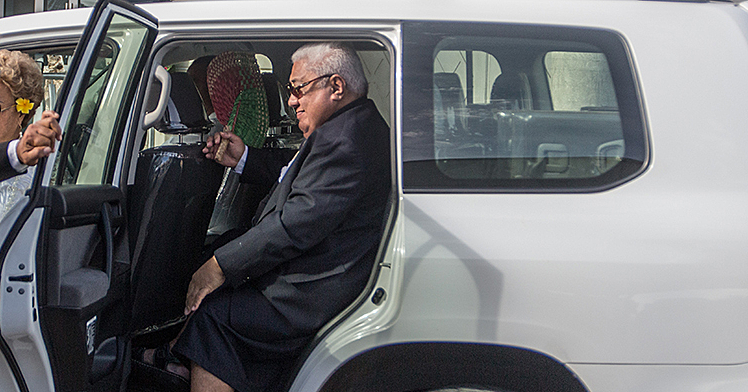 Another longstanding issue is Samoa’s seeking U.S.D.A. approval from the Federal Government to enable exports of meat and meat products to American Samoa. On the issue of transportation, the relevant authorities involved will continue to collaborate on resolving the situation around the late clearance of the M.V. Lady Naomi; restrictions and concerns regarding the treatment of pregnant women passengers returned upon arrival in American Samoa and disallowing disembarkation to prepare for the returned trip. Another issue is the waiver for U.S. Coast Guard requirements in relation to emergency charter requests to Samoa. On the use of the two Samoa slipway facilities, American Samoa informed of the availability of its shipyard facility to maintain large vessels; likewise Samoa offered its slipway for small vessels. “American Samoa’s Department of Port Administration discussed opportunities with its Samoa counterparts as the Federal Aviation Administration approved disaster training facility that can be made available to train Samoa’s airport emergency responders. Another issue pertains to Banking Money Transfer Operators (M.T.O.s) from Samoa who has requested to set-up bank accounts in American Samoa, but are unable to do so at this time because of global anti-money laundering policies and regulations practised by A.N.Z. Bank in American Samoa. The M.T.O’s from Samoa proposed the possibility to set-up local bank accounts in American Samoa through its proposed new territorial bank. “American Samoa also requested the Central Bank of Samoa to assist with ensuring appropriate policies and regulations are in place to address money laundering,” says the meeting record.